Roanoke County is preparing for the next big step in plans to make Explore Park a destination for both residents and visitors. The “Help Wanted” sign is out for “aerial adventure guides at Treetop Quest”, set to open this summer. 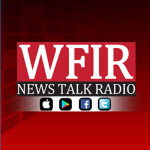 More from WFIR’s Evan Jones. 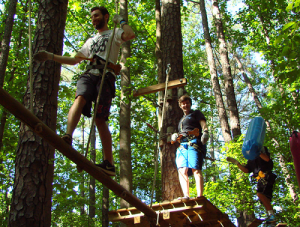 News release: The new Treetop Quest aerial adventure attraction opens at Explore Park on July 1, and Roanoke County is hiring dozens of new “aerial adventure guides” to make it happen. These positions will help facilitate course operation and ensure participant safety as guests soar through the trees on zip-lines, traverse cargo nets, balance on tightropes and encounter other challenging obstacles.Multiple part-time positions are now available with pay ranging from $12 to $14 per hour. Even if you have no prior challenge course experience, we’ll show you the ropes! The course will operate daily from July 1 to August 12 and weekends only throughout the fall. A full-time program supervisor for Explore Park’s outdoor recreation amenities will also be hired within the coming weeks.With safety at the forefront, Treetop Quest at Explore Park will use a continuous belay system, providing a cutting-edge experience for both participants and course guides alike. This equipment makes it impossible for guests to detach while traveling throughout the course, while allowing for children as young as age four to enjoy the attraction. * At 227 PM EDT, Doppler radar indicated thunderstorms producing heavy rain across the warned area. Up to two inches of rain have already fallen. Flash flooding is expected to begin shortly. * Some locations that will experience flooding include… Pulaski… Galax… Hillsville… Dublin… and Fries. Additional rainfall amounts of one to two inches are possible in the warned area. Turn around, don`t drown when encountering flooded roads. Most flood deaths occur in vehicles. When it is safe to do so, please send your reports of flooding, including mudslides or flooded roads, to the National Weather Service by calling toll free at 1…8 6 6…2 1 5…4 3 2 4. Reports and pictures can also be shared on the National Weather Service Blacksburg Facebook page and on Twitter. 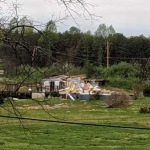 PREVIOUS: VDOT reports US 220 has re-opened south of Rocky Mount, where an apparent tornado touched down this morning, bringing trees across the roadway and extensively damaging at least one home. State police, the sheriff’s office, and local fire and rescue personnel are all assembled in the area. So far, we have no reports of deaths or serious injuries. The Franklin County Animal Shelter says today’s tornado damaged its facility, but everyone is safe. The shelter is closed for the rest of the day. This comes as a Tornado Watch is in effect until 5:00 pm today for the follow areas of Virginia: Alleghany; Amherst; Appomattox; Bath; Bedford; Bland; Botetourt; Buckingham; Campbell; Carroll; Charlotte; City of Buena Vista; City of Covington; City of Danville; City of Galax; City of Lexington; City of Lynchburg; City of Martinsville; City of Radford; City of Roanoke; City of Salem; Craig; Floyd; Franklin; Giles; Grayson; Halifax; Henry; Montgomery; Patrick; Pittsylvania; Pulaski; Roanoke; Rockbridge; Wythe. A tornado watch means conditions are favorable to development of tornadoes. UPDATE FROM VINTON POLICE: The deceased man found in the Vinton Lakeside Plaza parking area has been identified as Mr. Clayton Howard Thompson, age 43, of Vinton. Foul play is not suspected in his death, and preliminary findings indicate he died of natural causes. 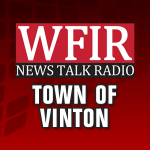 PREVIOUS: On April 19, 2019, at 1:43 AM, the Vinton Police Department was dispatched to 901 Hardy Road (Lakeside Plaza) for a man laying down in the parking lot and not breathing. The Vinton First Aid Crew responded and determined the man was deceased. A representative of the medical examiner’s office responded to the scene, and the body was subsequently transported to the Office of the Chief Medical Examiner on Northside Drive in Roanoke to determine a cause and manner of death. Preliminary findings indicate the man had been shopping in the Lakeside Plaza Kroger prior to his being found unresponsive in the parking area. The identity of the man is being withheld until next of kin can be notified. 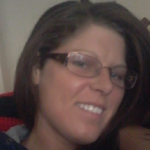 News release: Radford City Police are asking for assistance in locating Elizabeth Catherine Frazier, age 33 last seen on Saturday, April 13. She is possibly wearing jeans, men’s work-boots, black jacket, glasses and a beanie style hat. She is a white female, 5’11 tall and weighs approximately 150 pounds. Friends and associates are concerned due to Elizabeth needing medication that she is without, as well as not alerting anyone to where she was going. She is known to become agitated with people and leave unexpectedly, without telling others. She enjoys walking long distances and may be around bridges, train tracks or parks. Police are asking anyone that comes in contact with her to call their local police department. No foul play is suspected at this time. Police are concerned for her well-being and ask for the public’s assistance in locating her. If you have information, please contact the Radford City Police Department at (540) 731-3624. SAN BERNARDINO – A crew of 12 officers will travel more than 3,000 miles in a “cannonball-style” drive from Redondo Beach, CA to Washington D.C. The crew will stop at each agency where an officer was murdered in 2018 to honor their service and ensure the officer, or the needs of the surviving families, will not be forgotten. 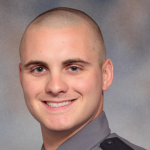 The crippling grief of losing an officer in the line of duty is worsened by the immediate need for resources, which are too often very scarce at smaller police agencies across the nation. This sad fact was the basis of the formation of the Cannonball Memorial Run, which was started by San Bernardino County Sheriff’s Department Sergeants John Bannes and Jason Hendrix. Bannes and Hendrix were deeply impacted by the blatant ambushes on police in 2016. They decided to jump in a car, with their friend, Sheriff’s Sgt. Mike Rude, and drive to each agency where the officers had been murdered to show support and camaraderie. As they traveled to some of the smaller departments and saw surviving families without ample support, Bannes and Hendrix vowed to make a difference. 1.In the wake of his “blackface” scandal, Governor Ralph Northam’s popularity among registered voters has plummeted 19 points since December. 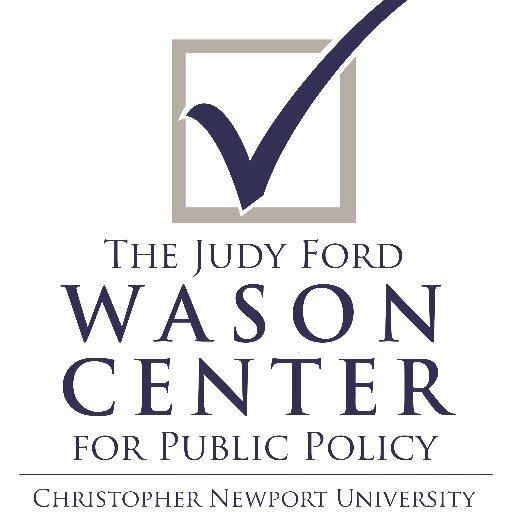 At 40%, Northam’s approval rating is lower than President Trump’s 44%. 2.Asked if Northam should resign, a slight majority says he should stay in office (52%-42%). In his own party, 29% of Democrats say he should resign. 3.With control of both Virginia Senate and House of Delegates on the line this November, Democrats hold a slight edge on the generic ballot test, 43% to 39%. Both parties will turn to their base, with Democrats still energized over Trump and Republicans fired up over abortion. 4.Northam, Lt. Gov. Justin Fairfax and Attorney General Mark Herring have all been damaged by scandals, with their disapproval ratings rising. But 23% of voters appear unaware of even the highly publicized Northam scandal, so the “Top Three” scandals’ drag on Democratic candidates may be limited overall. 5.Downstream effects for Democrats may also be limited due to advantages Democrats hold in public perceptions. Asked which party cares about the middle class, the working class, the poor, African Americans, women, men, and children, voters choose Democrats in every category but one. Voters say Republicans care about men. 6.A question designed to carefully measure attitudes on abortion reveals both parties are out of the mainstream in their abortion positions, as a plurality of voters (32%) want neither fewer restrictions nor more restrictions on abortion. A Franklin County man is being sought for allegedly fleeing the area to avoid drug and firearms charges. 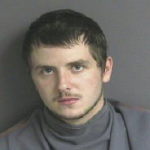 The Sheriff’s office says 20-year-old Timothy Cleary of Rocky Mount may have left Virginia. Officials say they found two-and-a-half pounds of marijuana, other drugs and lots of cash when searching two different Rocky Mount-area homes in the last three weeks. From the Franklin County Sheriff’s Office: On the March 14, 2019 Narcotics Investigators with the Franklin County Sheriff’s Office executed a drug related search warrant in the 200 block of Ridgeacre Drive in the Rocky Mount community of Franklin County. During the search warrant investigators seized from the tenant, Timothy Shane Allen Cleary, approximately 2 ½ pounds of marijuana, over 1,500 dollars in U.S. Currency, packaging materials, digital scales, and a semi-automatic handgun. On April 1, 2019 Investigators with the Franklin County Sheriff’s Office executed a second search warrant involving Cleary. This time the search warrant was executed in the 400 block of Lavender Lane in the Rocky Mount community of Franklin County. This time Cleary was found to be in possession of over one-half ounce marijuana, numerous vape style cartridges containing THC distillate and over 2,400 dollars in U.S. Currency. Felony Warrants [on drug and firearms counts] have been obtained for Cleary. Cleary is currently evading arrest and is believed to have fled the state. Anyone with information on Cleary’s whereabouts is encouraged to contact Capt. Caldwell at the Franklin County Sheriff’s Office at 540-352-5174. This investigation is continuing, and additional charges may be pending. 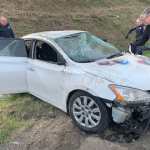 From Virginia State Police: At 9:30 a.m. this morning units with the Counter-Terrorism Criminal Interdiction Unit of the Virginia State Police attempted to stop a white, 4-door, 2014 Toyota which was traveling south on Interstate 81 at the 158 mile marker. The vehicle was identified as being stolen from the State of New York. When troopers activated their emergency equipment the vehicle fled a high rate of speed, driving in a reckless manner; in an attempt to get away from the troopers. 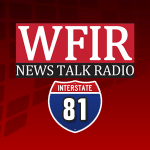 The vehicle continued south on Interstate 81, then crashed at the 149 mile marker. The vehicle ran off the left side of the roadway, crossing the median into the north bound lanes and came to rest on the right shoulder of the roadway. No other vehicles were involved in the crash. Two males and a female have been arrested. Jarvis A. Sayles, 21, of Roanoke, VA, was identified as the driver of the stolen vehicle. Sayles is being charged with Driving while Suspended, Hit and Run, Felony Attempt to Elude and Possession of Marijuana. Amanda R. Valderrma, 22, of Brooklyn, NY, is being charged with Possession of Marijuana. The third subject, a male, has not been identified at this time. The unidentified male will also be charged with Possession of Marijuana. The car was stolen from a restaurant the evening of April 3, 2019 from the State of New York. The event remains under investigation.